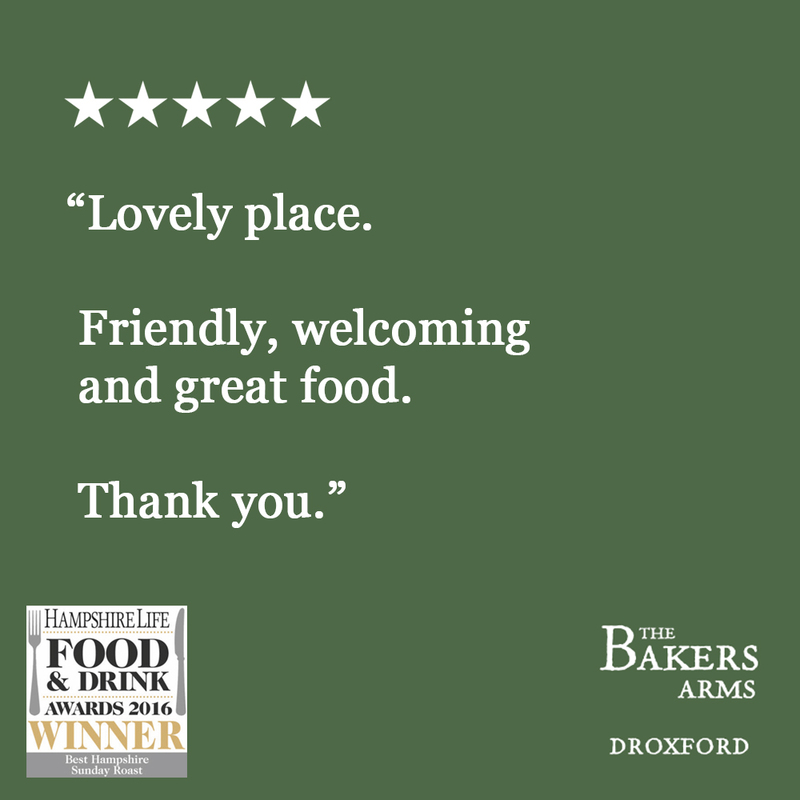 Tucked away in the pretty village of Droxford, close to the River Meon and plenty of splendid walks, The Bakers Arms has understated charm and traditional style. 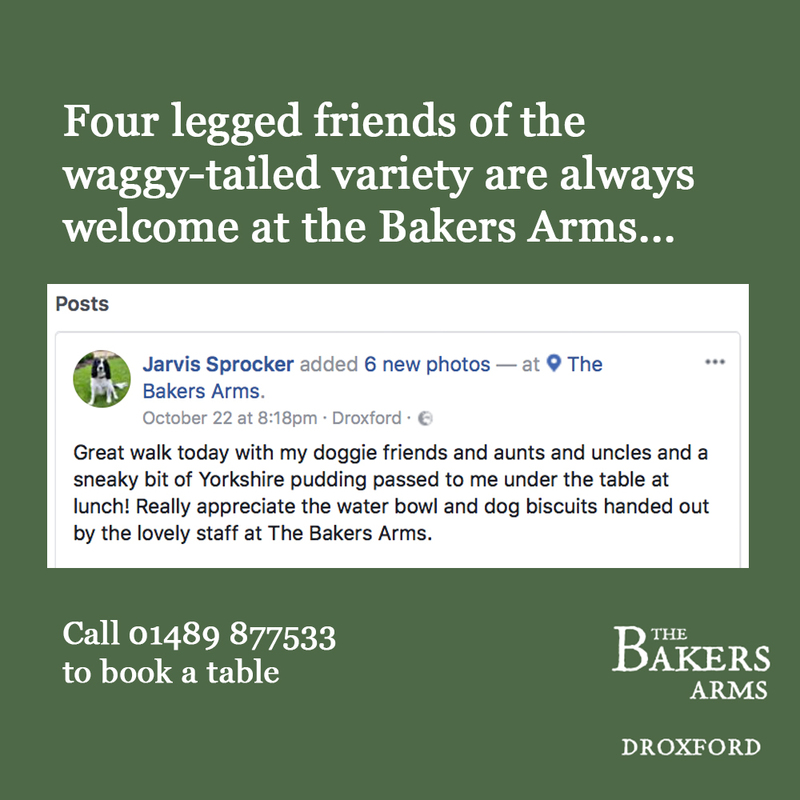 Expect exposed beams, polished wood floors, an open log fire in the winter, sunny patio in the summer and a team of friendly staff, keen to serve you with a smile. 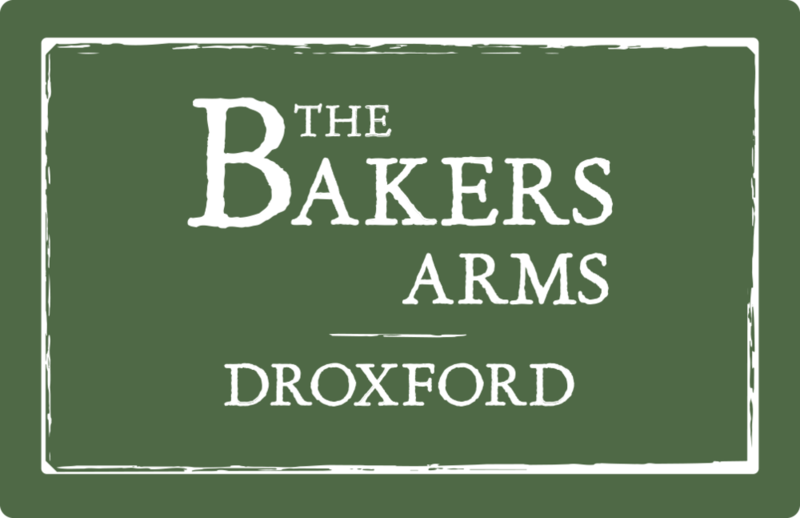 Adam and Anna bought and transformed The Bakers Arms over 10 years ago. With more years of chef and hospitality experience than he likes to admit to, Adam's CV is peppered with establishments of note. Chef Kieron is full of creative ideas and has 8 years of graft under his belt. Bar manager Caroline is a hospitality expert, with vast knowledge of wine and bags of foodie enthusiasm. 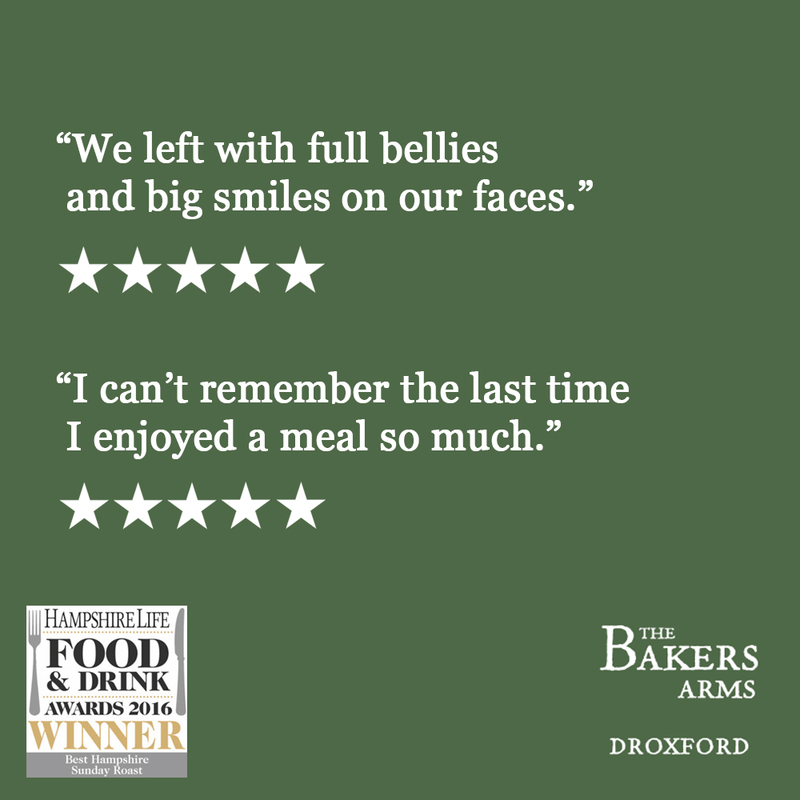 Over the years they've won a string of awards and earned some top-notch reviews and The Bakers Arms has remained one of the most highly rated pubs in the Meon Valley. 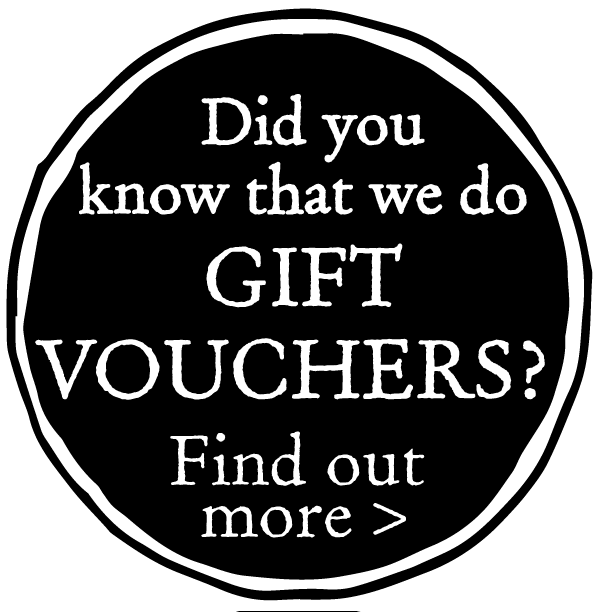 Call 01489 877533 or click here.